We went strawberry picking for Father’s Day. 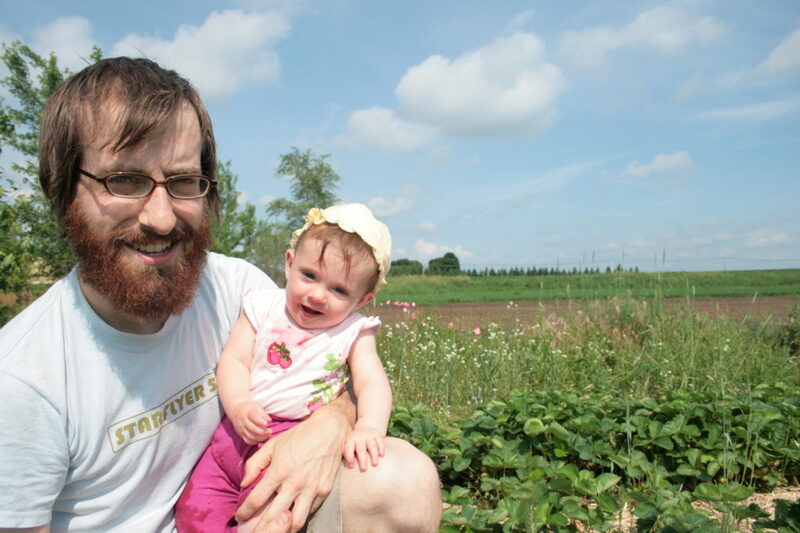 There are lots of farms around the Twin Cities, but we especially like Sam Kedem’s organic pick-your-own berries. His farm is just 45 minutes from our house and is a beautiful getaway from the bustle of the city. 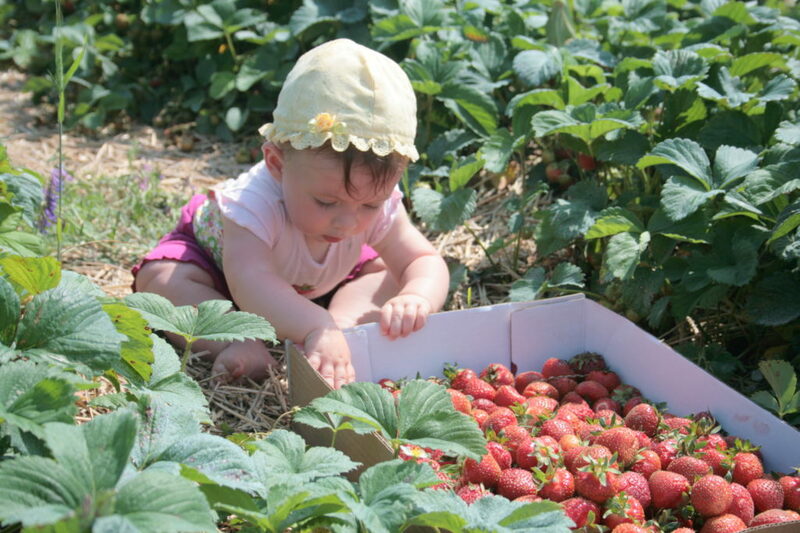 In addition to pick your own berries, they are a nursery that sells great fruit bushes and trees. The raspberry bushes we purchased from him last Fall fruited as soon as we put them in the ground and they are looking even more promising this Spring. It was Irais’ first time on a farm. She laughed at the chickens when Sam let them out at the end of the day. 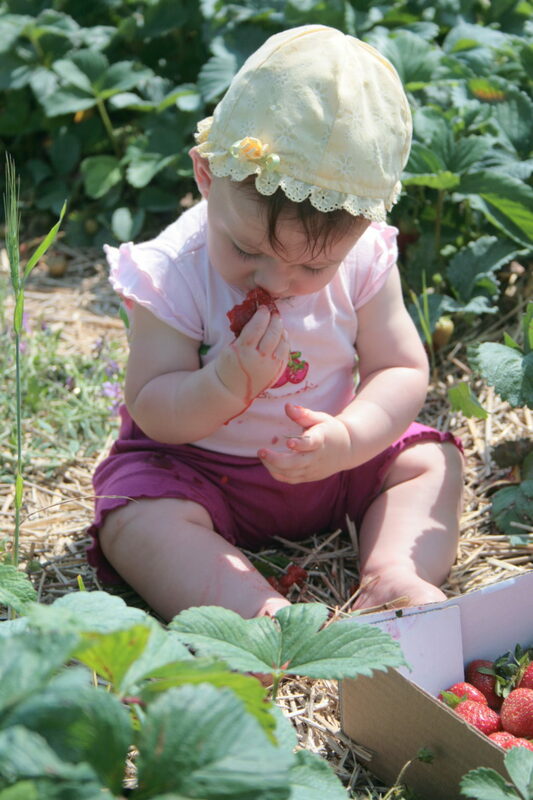 And she certainly enjoyed playing with the berries while we picked. 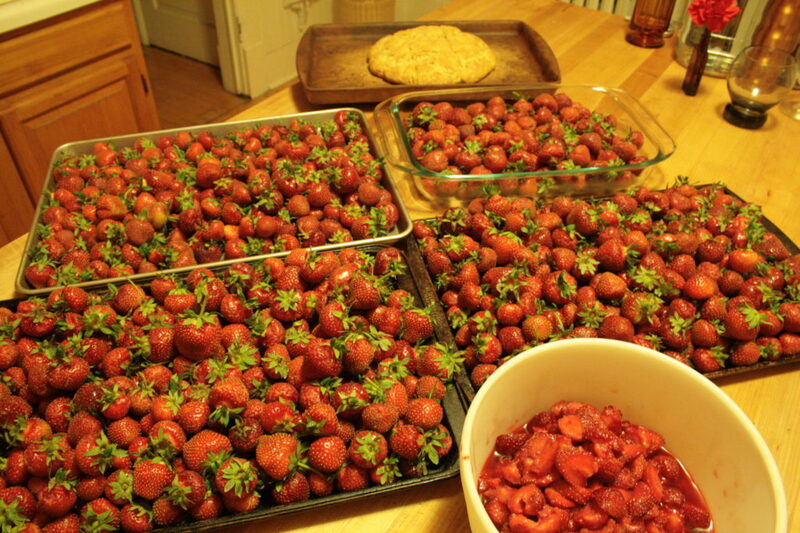 We brought home 25 lbs of high quality organic berries and have enjoyed strawberry shortcake daily. Choit’s Run has a delicious and relatively healthy recipe. Happy Father’s Day to my favorite man!